Much more than simply a guided meditation, this program teaches the specific method of meditation advised by the famed Edgar Cayce. This is a complete step-by-step explanation of his unique approach to meditation based on information received while conducting his trance-like "readings." 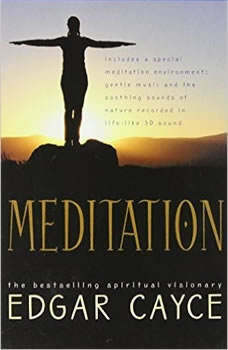 Meditation by Edgar Cayce also features a special meditative sound environment, recorded utilizing a state-of-the-art, 360-degree sound technology. This blending of specially composed music with the natural sound of a tranquil setting will provide you with your own "meditation place" to which you can escape simply by putting on your headphones.